Summertime is here and it is finally nice outside in Upstate New York. 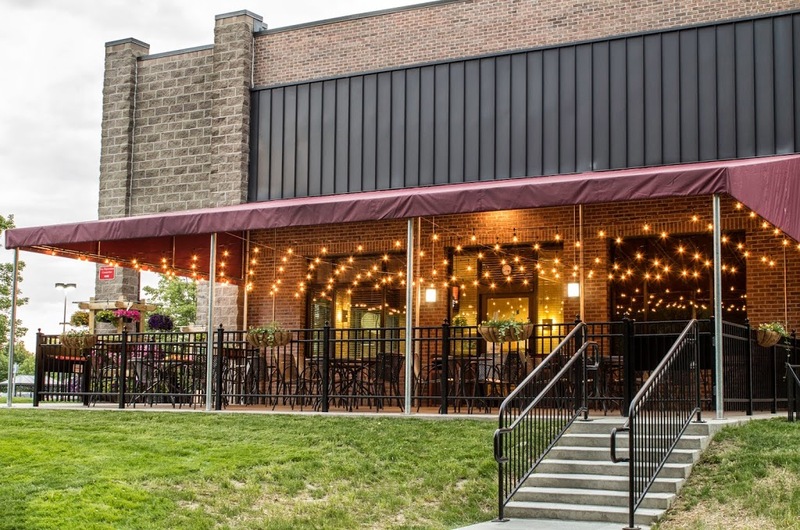 One of the many perks of having this warm weather is outdoor dining. 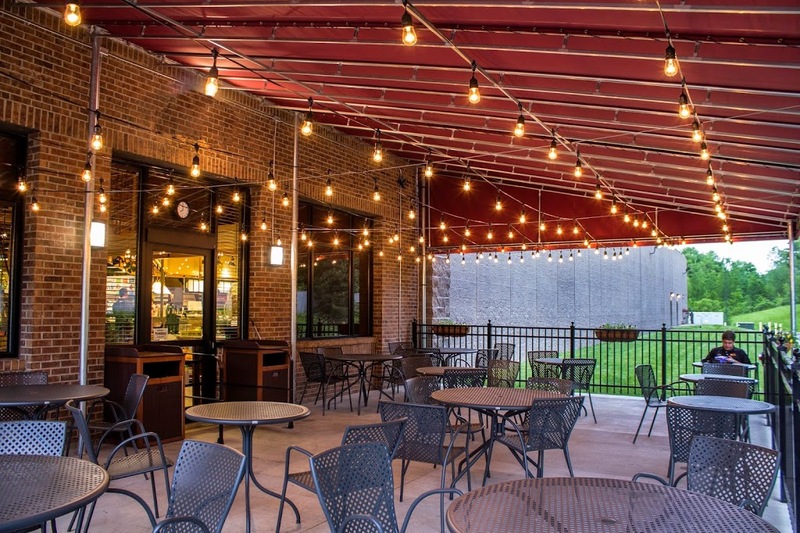 Wegmans, the popular supermarket, wanted to offer this dining option to their customers at their Cicero, New York location, so they created an outdoor patio area with tables and chairs. 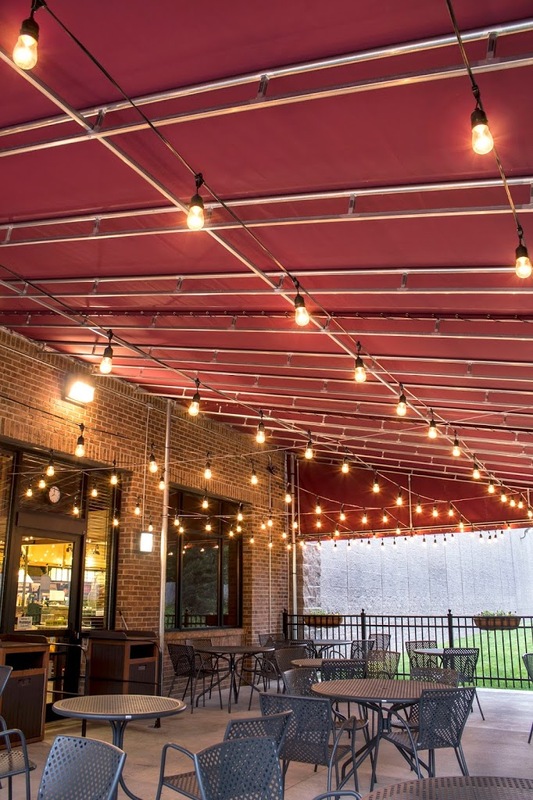 They installed a canopy above the patio but they needed a decor item that would really create an intimate and unique cafe dining experience. This is where we came in. 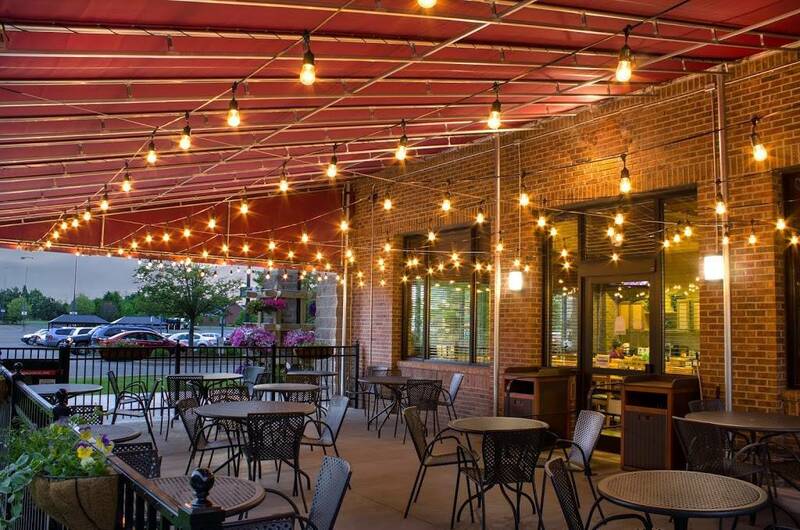 We produced these elegant light lines made up of Edison light bulbs that hang from the bars of the canopy. 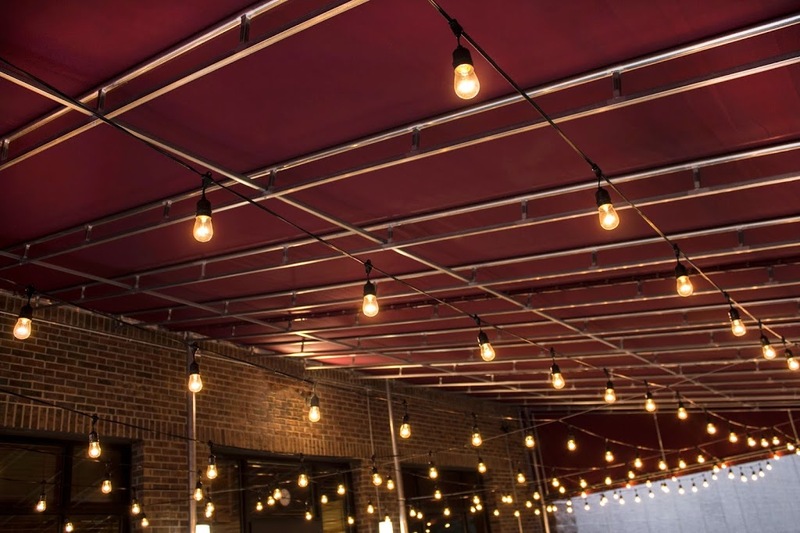 These marquee style lights create a warm and friendly fine dining type of atmosphere that customers will be able to enjoy throughout the summer.